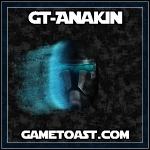 -= Gametoast.com =- - View topic - Gametoast Icon? If it works for you guys, great! This is the only website I visit without a working favicon on Chrome or Firefox. This favicon has not worked since the folder structure of the forum was changed, this was also when Gametoast urls were broken. Its not a big deal if it gets fixed or not, but it would be nice to not see the browser's ugly placeholder favicons all the time. Your icon is in the favorite list. But the tab's fav icon is missing for you as well. The white paper next to the address. The white paper next to the address is never the favicon in Chrome. It is either a paper for http://, or a lock for https://. You can go to any webpage with a confirmed working favicon to see this for yourself. The tab above the URL, however, is also working as intended on my end. It's just not pictured because I'm lazy and didn't think to add it to the snipping tool screengrab. It also has a nifty feature for turning off everything but the favicons on the bookmark bar which triples the number of favicons I can have on it. I'm using edge and there is no icon for me at the tab. 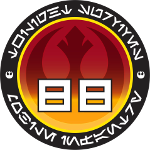 Could I use this favicon in my forum? Thank you.